Huge selection of everything you need to enhance your landscape for fall color! We have slipped the surly bonds of September… and summer. But it is still significantly warm.,, To me, October is about being mindful of the tasks that are best suited for this time of year. 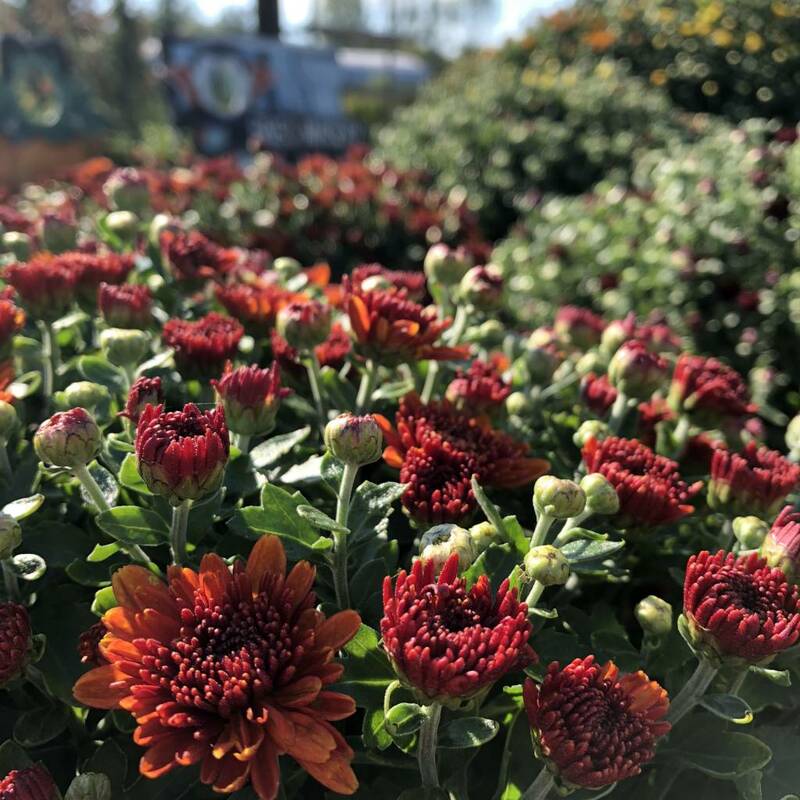 As difficult as it may be to completely turn loose of summer plantings, the time has arrived to begin the transition towards the cooler seasons. Probably the most disheartening thing to do in the garden is to remove beautiful plants. It just seems to go against everything you've tried to do all season. You have worked hard to grow these plants into a glorious splendor. But alas, all things come to an end…including summer annuals. If you have any plan at all on making a transition to cool weather flowers, the time for action has arrived. I fully understand that you can likely get at least another month out of the annuals you have in the ground. It is true you can successfully plant pansies, violas, and other cool weather plants much later in the season. Here is what you sacrifice by delaying: maximum color in the winter and best selection of available plants. The later you wait to remove summer annuals and plant cool season color the less time they will have to get established before winter. You will get much more color over the entirety of the winter the earlier your plants get in the ground. Additionally, your chances of being able to get the specific colors and mixtures of plants that meet your requirements are excellent now, but decidedly less, later in the season as availability dwindles. I talk about it a lot, but it is especially helpful for you to bring along pictures on your smartphone or tablet. Of course, you could print them if you prefer. A rough sketch of your home’s layout also provides added information when you include approximate dimensions and notate the direction your home faces. No matter what your needs are in the garden, we're here to help. Thank you for your wonderful comment. We really appreciate it! By the way David & Josh are now on WSM 650AM Saturday mornings 7-9am. Always enjoy your pieces, David. Help me think of pretty cool season plants other than pansies and cabbages, please. I agree with David. We struggle to pull those summer annuals for winter color. Especially those varieties that won the battle over the 90 degree heat. I tell our customers that the pansies will be spectacular this winter if we can get them in the ground while the soil is still warm. Thier roots will develop faster which will increase the productivity of blooms. But if you could see the shrub like lantanias we have here...im having a hard time pulling them up too. Boy did they do well this summer here on Bowling Green. Anyway, love your blog and miss you guys on the radio.